Mary Cannam, currently finance and commercial director, is to take on a new, expanded role as chief operating officer at Faber & Faber. She will take on broader responsibilities alongside her direct responsibility for the Finance, Commercial, Contracts, Archive and Sales Operations teams. These will include the company's day-to-day operation and delivery of the company's strategy, working closely with chief executive Stephen Page and acting as his deputy in the running of the business. Page said: "Mary has been an invaluable member of the Faber team for many years. She's an outstanding colleague and combines great expertise in her own areas with a strong strategic mind for publishing. 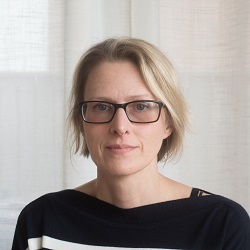 She played a key role in developing the strategy that has proved so successful for Faber over the last five years, and I'm delighted that she is taking on this wider role." Cannam said: "I'm thrilled to be given this opportunity. Faber is a wonderful company with an extremely rich heritage, and it is a privilege to be working with the brilliant team here in continuing its success at such an exciting time." Cannam joined Faber in 2002, having previously worked for Waterstone's and HarperCollins. She joined the Board as commercial director in 2009 and became finance and commercial director in 2011.